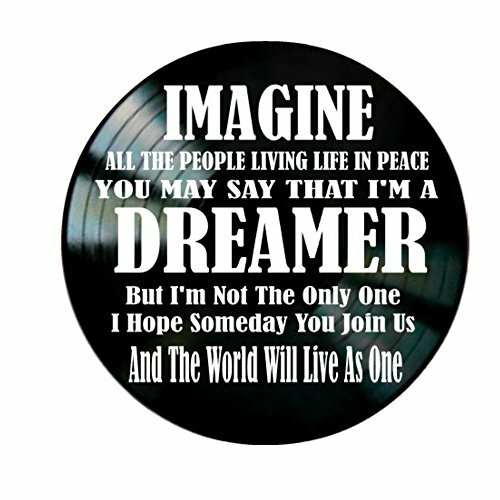 John Lennon Imagine song lyrics are cut from vinyl and applied to a vinyl record. The original label is painted black so the music lyrics are the main focal point. DISCLAIMER: I only use damaged records for my products. There may be minor scratches. These are not the records of the artist that wrote the lyrics. I use records that are not sellable in today's market.